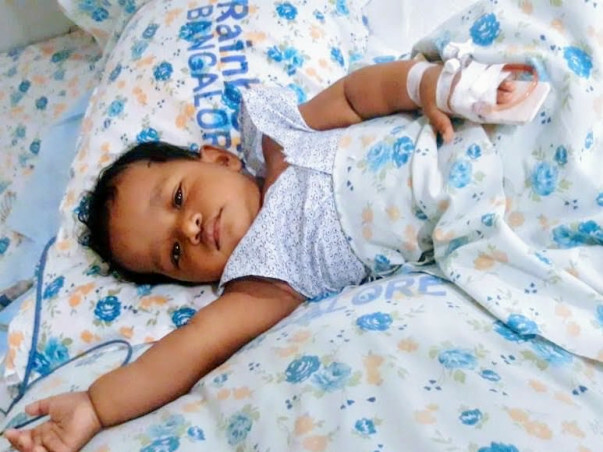 Ever since she was just 15 days old, Bhavya’s baby girl has only known pain. Bhavya’s baby has a serious condition because of which she doesn’t have the hormones that produce calcium in her body. She has seizures every time her calcium is low and is rushed to the hospital. 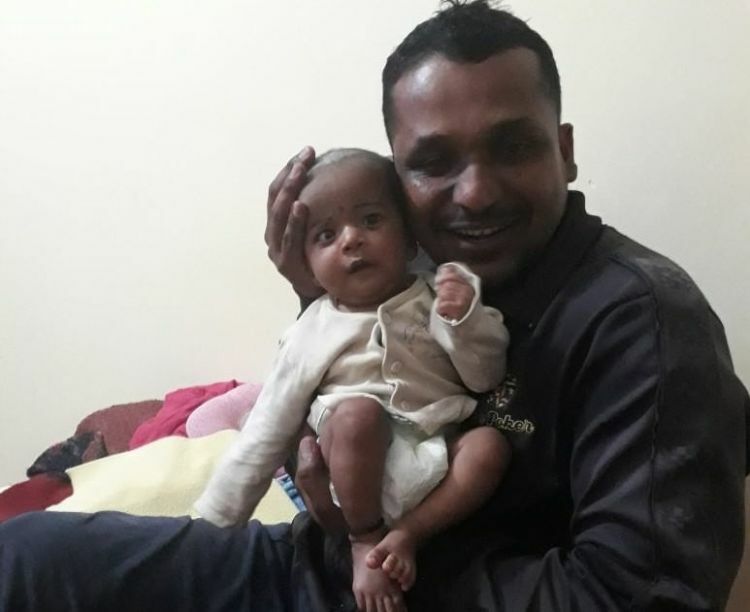 Bhavya’s baby is now 10-months-old and has been to the ICU thrice due to her critical condition. She needs medicines and injections every day. Without which, her heart will stop beating. Bhavya and Chandramohan can’t afford her treatment any longer, but stopping it only means one thing – losing their only child. 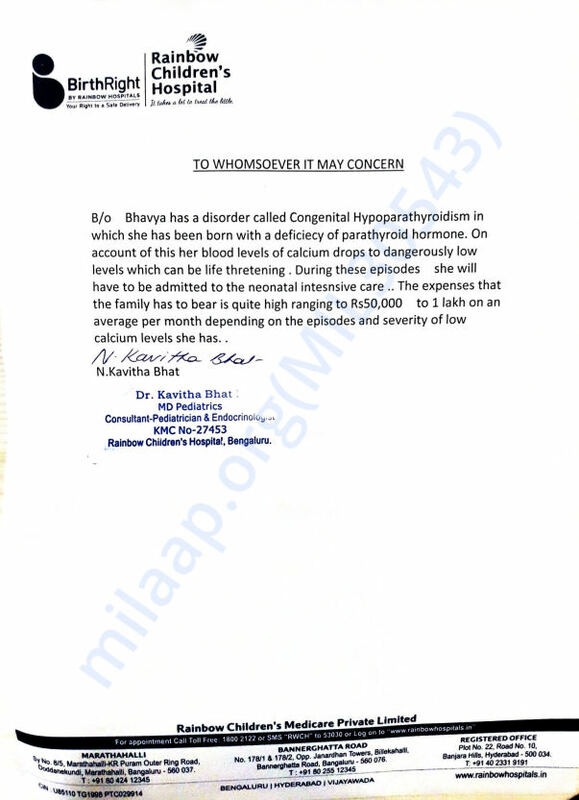 Bhavya’s baby has congenital hypoparathyroidism which is the decreased functioning of the parathyroid gland that in turn leads to decreased calcium levels in the body. This is life-threatening for the baby. When Bhavya and Chandramohan took her to the doctor, they were told that her calcium level was zero. Bhavya gives her the injections herself at home and takes her for a blood test every two days. Her baby needs these medicines and injections to survive. They’re acting as the hormones that are missing in her body and help in maintaining the balance. Without these, the little one risks getting seizures and eventually, lose her life. Bhavya and Chandramohan are trying their best to keep her treatment going, but find themselves helpless. 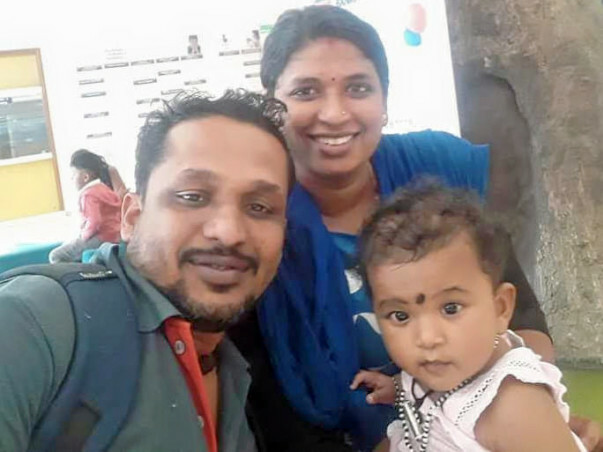 It’s been 10 long months for Bhavya, Chandramohan and their baby girl. Along with the increase in the number of medicines, their daily medical expenses have also risen over time. Bhavya and Chandramohan have exhausted all their savings in their baby’s treatment so far. Even after selling all the jewellery that they had, they can’t afford to continue treatment. 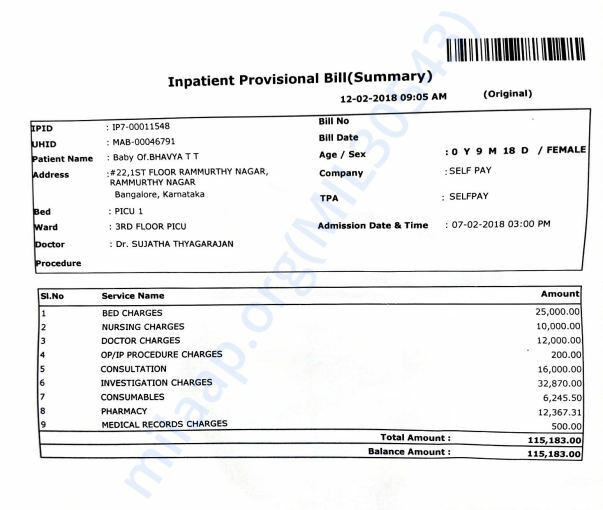 Chandramohan works as a security guard and even if he works tirelessly for days, he can’t afford the 5 lakhs needed for his baby’s treatment. They have seen their baby girl suffer all these months and just want to give her the life they had imagined for her. 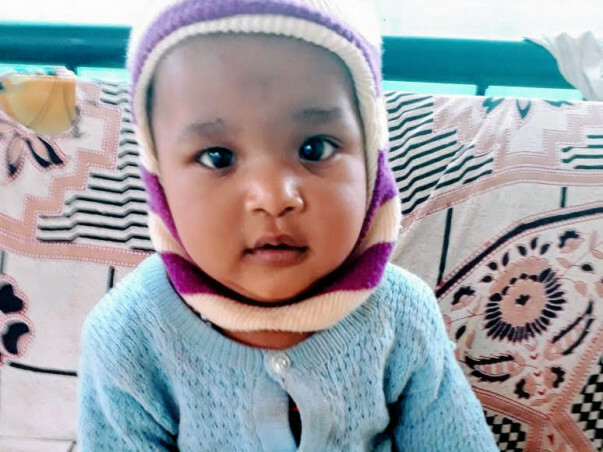 Bhavya’s baby must continue her treatment to stay alive and have a chance of a future. Your support can save Bhavya’s baby’s life. She is improving well with her Injections every 8 hours. Genetic test showed she has mutation in her gene and she requires this injection every 8 hrs throughout life. We shall keep you posted. Thank you once again! Thank you for the wonderful support that you have shown towards my daughter. We have named her Charanya. She is doing better now compared to earlier and is undergoing the treatment. The doctors have scheduled a few tests based on which they will be suggesting the future course of action. She is active now compared to earlier and responds to anything we say. But she still needs support while doing anything as her body is low on calcium. My baby is doing well now. The improvement has been slow and she still has to take 3 injections weekly. She is active but needs our support to make movements. Doctors have suggested a blood genetic test for her after which they will decide a diagnosis. We sincerely thank each one of you for the love and support which you have shown towards my baby. I and my family will always be grateful to each one of you. We shall keep you all posted. Get well soon baby. God bless you.